Another weekend, another juncture it seems. And while the common denominator in most cases this season has been the Australian Rugby Union, now we can add SANZAAR as a body, and Super Rugby as a competition into the mix as well. Suddenly, all three entities have some serious thinking to do, both collectively and individually, and it’s all interlinked and with direct flow-on effects to each other. 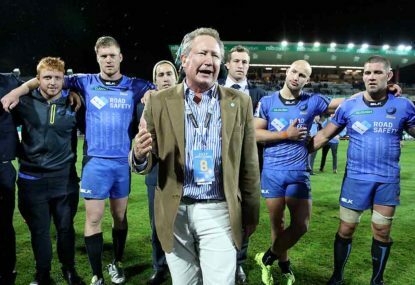 As far single moments go, there haven’t been many more powerful in Australian rugby this year than of proud Western Australian Andrew Forrest, the billionaire head of Fortescue Metals Group, addressing the Western Force team on Saturday night. Questions as to the timing of this are all very valid. As I understand, Forrest is a foundation Western Force member and has been a regular at home games since day dot. He was part of the group of benefactors in the west who set up the Force 15 Foundation, from which the already highly successful Future Force development program has been established. “Where was he back in March?” I saw posed rhetorically over the weekend, referring to the point where the Force’s head was officially lowered onto the ARU chopping block. It is a valid question. If he was around back then, the Force might not have had to sit nervously for 48-72 hours and the near 100 days that have followed since. If he was around last year, the ARU wouldn’t have had to hurriedly buy out the Western Force intellectual property and take control of the chequebook. Why he chose to do it so publicly, and after what had already been a special night, perhaps only he will know the real reasons. But, as valid as the questions are and the reasons might be, they’re also now irrelevant. From a Western Force point of view, all that matters now is that Andrew Forrest is on board. The look on Dave Wessels’ face post-match, and the length of the hug he and Forrest shared, tells you how important the FMG boss now being involved is to the organisation. As an Australian rugby fan, this was exactly the sort of fight I was asking for back in early March. Forrest’s grand gesture puts the ARU and the process they’re going through in a very difficult place, now, too. Though we don’t know the specifics yet, and Forrest himself hasn’t elaborated on what exactly “standing completely with, and behind, Western Australia to keep this team thriving” means, it’s a reasonable and already common conclusion that the Force’s ongoing financial viability is no longer a concern. So too, in theory, does the news late last week that Imperium Group boss Andrew Cox is on the verge of transferring ownership of the Melbourne Rebels back to the Victorian Rugby Union and a syndicate of owners, and with the (non-financial) support of the Victorian Government. Details remain similarly sketchy about the Rebels deal, which you would also presume would require ARU approval, and on whispers and ‘what ifs’ alone, it perhaps doesn’t have the same ‘sniff test’ of solidity at this early stage. But the fact that the whispers are doing the rounds at all suggests that Cox is looking at sale options, for one, and secondly that interest in Melbourne remains strong enough to launch a late rescue deal. Meanwhile, in South Africa, the same sort of whispers that a fortnight ago suggested the Kings and Cheetahs were eyeing off a Super Rugby exit plan to the north are now suggesting the Sharks might join them. Again, the obvious and already common conclusion is that the SARU’s long-threatened northern exit play is well and truly underway; how can you conclude otherwise? And the obvious flow-on is that if the Sharks do want to head north, then the need for Australia to shed a team no longer exists. This is where SANZAAR and the Super Rugby competition find themselves at the same crossroads the ARU have been standing at for most of 2017. As an organisation, SANZAAR needs to give serious consideration as to how Super Rugby looks going forward. That was always going to happen heading into negotiations for the broadcast deals from 2021 and beyond, but the Super Rugby landscape is changing so rapidly right now, that those discussions can’t wait that long. If two South African teams are already leaving and a third is giving it serious consideration, how confident can we be that the competition will still have a South African presence come the 2020 season playoffs? A fortnight ago, I concluded that a 16-team single-conference round robin competition is starting to make the most sense for 2018, and it was notable that Australian Rugby Union Players Association CEO Ross Xenos similarly ran with this idea over the weekend. The conversations have to happen. Does South Africa want to remain in the competition? What do the broadcasters want to see for the remaining three season of this current TV deal? How do they want the competition to look from 2021? Will ten teams either side of the Tasman become the foundation for a stream-lined Pacific Rim Super Rugby competition, with more teams from Japan, Argentina, and the Islands? 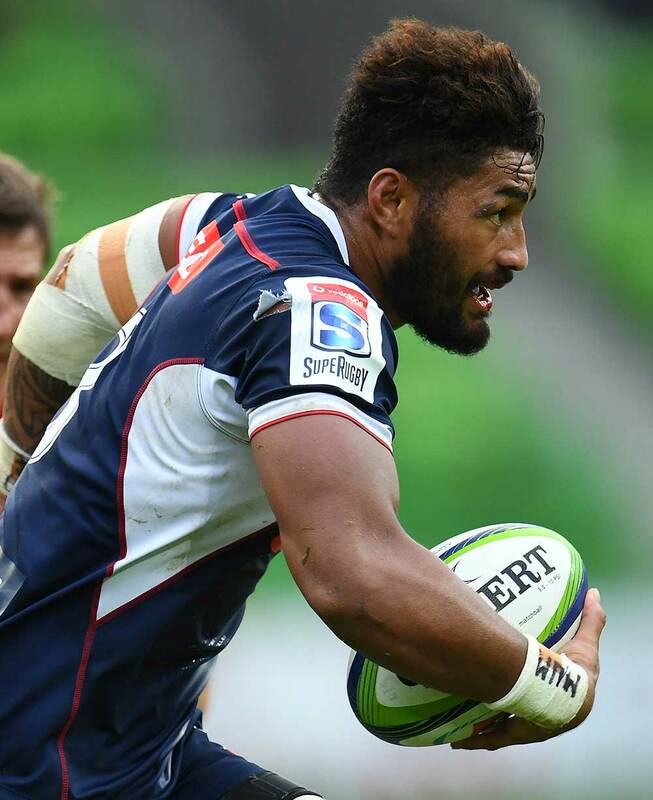 With the Force situation looking a whole lot more solid than it did last week, and with the Rebels showing some signs of solidification, now is also the time for the ARU to state that five Australian teams will be vital for the competition in future guises. It would make no sense to drop a team that would quite likely been needed again in a few years’ time. Furthermore, there is a very workable solution for a 2018 competition sitting right in front, which doesn’t require any further erosion of teams. It all needs to happen now. Super Rugby as a competition can’t lurch from its worst season on record in terms of public perception into a three-year holding period of yet more uncertainty.